Is Dakota Dental Talkin’ Trash About the Easter Bunny? It’s an ugly rumor of course. You know that the friendly, caring folks at Dakota Dental Family Dentistry have only kind things to say about everyone. So… how did this rumor get started? Well, okay … we’ve experienced the first day of spring! The grass is greening and many of Dakota Dental Clinic’s bird friends have returned to our backyard feeders after a pretty useless trip south (this winter, they could have saved the wear-and-tear on their feathers and stayed here in warm, sunny Minnesota!) All indicators say, that Easter is about to hop pop! So here come the Easter baskets laiden with chocolate bunnies, cream-filled eggs, trillions of jelly beans and those squishy, marshmallow chicks … oh woe for your child’s teeth! Are your Apple Valley dentists suggesting replacing those well-loved (albeit cavity-promoting) Easter treats with something much more sensible like a fun-sized tube of toothpaste and a brand-new, shiny toothbrush? Well, the caring dental staff at Dakota Dental Clinic does work diligently to protect your family’s teeth with quality dental procedures and emergency dental services, as well as beautifying smiles with cosmetic dentistry and professional teeth whitening. But we also LOVE kids and love fun as well! * Consider the classics – Slinky’s, jacks, rump-ropes, matchbox cars, stuffed animals, books, card games, sidewalk chalk and bubbles. * For the art-loving child – Finger paints, playdough, stickers and scented, glitter and color-changing markers. * To encourage outside activity – include butterfly nets, Frisbees, packets of seeds and a watering can, water balloons, beach balls and sandbox toys. * A great treasure to find in your Easter basket is time with someone you love. Tuck in passes for movies, amusement parks, bowling, arcades, water parks, etc. and plan a fun time to spend together. * The most meaningful gifts don’t have to cost a penny … create your own certificate for uninterrupted time together – playing a board game, taking a walk to the park, going for a just-daddy-and-me or just-mommy-and-me bike-ride or a special “camp-out” together under the stars in the backyard during a warm summer evening to come. * Remember, the length of time your teeth are exposed to sugar, more so than the amount of sugar you eat, dictates your risk for cavities. 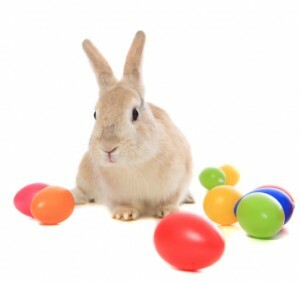 So after Easter dinner, go ahead and enjoy a slice of bunny cake or a treat or two from the basket, and then put the treats away and go do something fun instead of continually snacking on sweets all throughout the day. * After you and your kids have enjoyed nibbling off your chocolate bunny ears, be sure to brush your teeth, drink water or chew sugar-free gum to help prevent cavities.